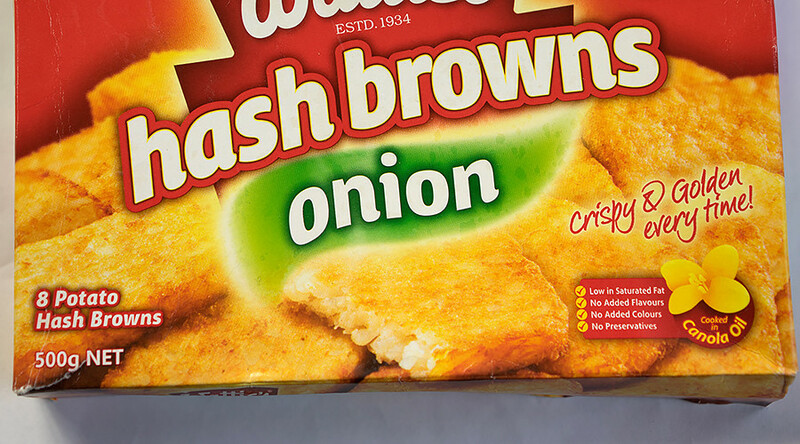 Hash brown lovers got some off-putting news when McCain Foods announced a product recall that’s way out of bounds. Frozen hash brown products across nine states may have been contaminated with golf ball materials. The bizarre contamination has hit Roundy’s and Harris Teeter brands of hash browns. McCain Foods USA recalled its frozen hash browns that may contain "extraneous golf ball materials," on Friday, the Food & Drug Administration (FDA) announced. The golf ball materials “may have been inadvertently harvested with potatoes” used to make hash browns, the company said. The statement warned that while there have been no reported injuries associated with the hash browns in question, consuming the products could pose a choking hazard or mouth injury. The potentially golf ball-peppered hash browns were made on January 19, 2017, and have the production code date B170119. The Harris Teeter hashbrowns were distributed in North Carolina, South Carolina, Virginia, District of Columbia, Delaware, Florida, Georgia and Maryland. The Roundy’s hash browns were distributed in Illinois and Wisconsin, at Marianos, Metro Market, and Pick ‘n Save stores. @kimseverson@pete_wells The hash browns weren't on par with their other products. The announcement has left many unanswered questions, like what exactly are “golf ball materials” and how could they have wound up being harvested with potatoes? -Wtf is "golf ball materials"? Golf balls are usually made of plastic and rubber and can have a rubber or liquid filled center. According to McCain’s website, it uses a small percentage of “corporate farm operations” to ensure they have a sufficient supply of potatoes, but most potatoes it uses are “grown by independent growers” who contract with McCain. “McCain agronomists work closely with farmers to help them constantly improve the quality and yield of their crops,” the company says, but perhaps that’s where the possible golf ball contamination occurred.